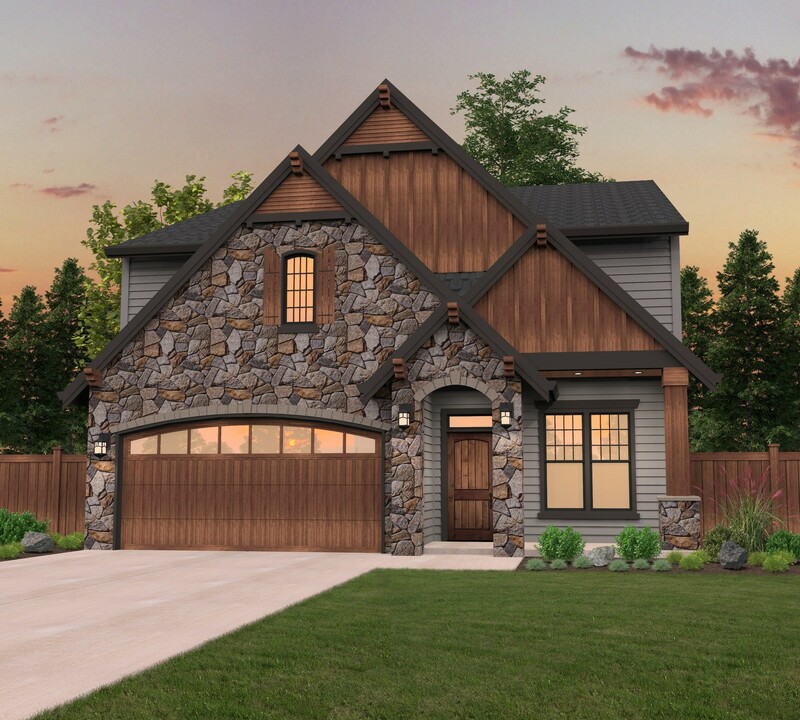 This Best Selling Builder’s Favorite 35 foot wide House Plan has been built hundreds of times, making it a favorite among builder’s and homeowner’s alike. The Rich exterior style paired with a lodge/craftsman design leads to an open concept main floor with a generous great room, spacious U shaped kitchen and dining nook. The gourmet kitchen features a center island, large corner pantry and access to the covered outdoor porch. 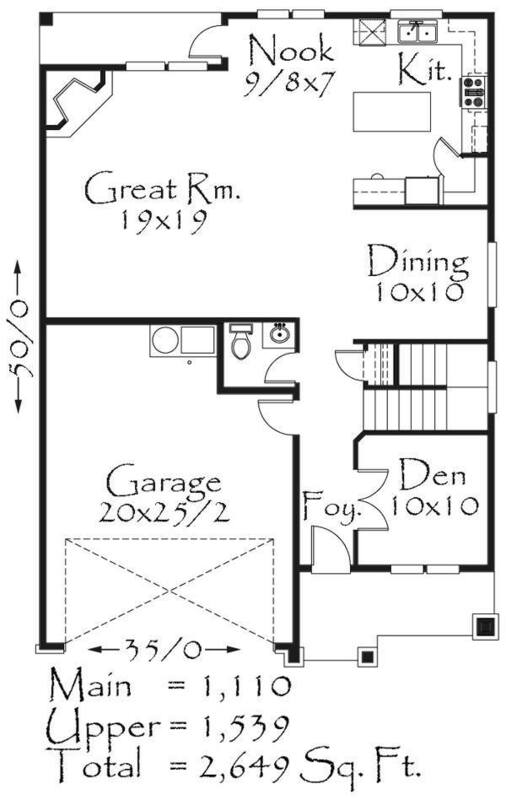 Near the foyer is a flexible den space and powder room. There is also an extra deep two car garage, allowing space for a workshop or extra storage. Upstairs are two spacious bedrooms, utility room, a large front facing bonus room which is perfect for family gatherings. 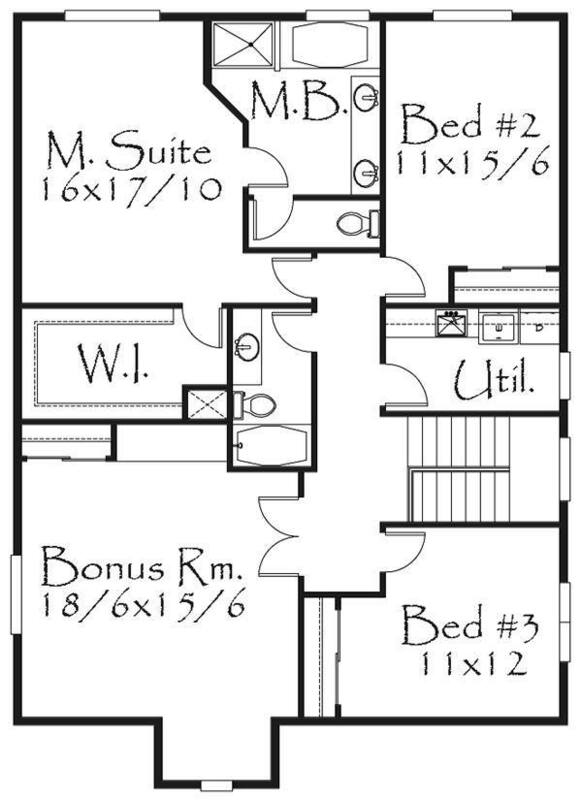 Also upstairs is the luxurious master suite featuring a standalone soaking tub, side by side sinks and an over-sized walk in closet. This extremely popular, Best Selling Skinny House Plan house plan works beautifully for lots starting at 45 feet wide.